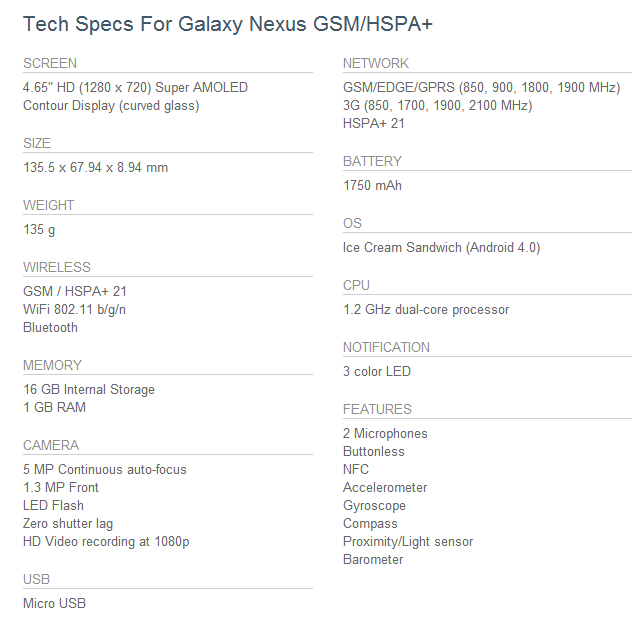 So, it looks like Google is getting back into the smartphone selling game - the GSM Galaxy Nexus just showed up on the Play Store. What's even more interesting, is the fact that it's selling for $399, unlocked and completely contract free. Three-hundred-ninety-nine dollars. 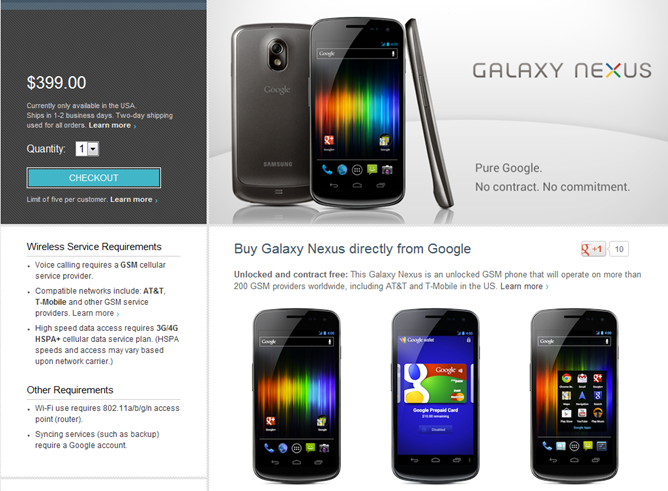 That's only $99 more than many of Verizon's subsidized phones! Since this just landed, we're not entirely sure of all the details yet, but we're going to start digging through the page and will update this post with all the info we find. Since it's unlocked and contract free, it will work on both AT&T and T-Mobile, along with "200 [other] GSM providers worldwide." 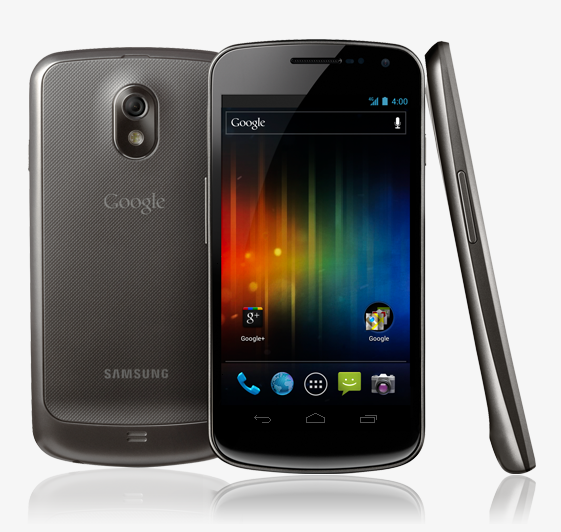 Unfortunately, it's only available in the U.S. at the moment, and Google is limiting orders to five per customer. Unlike other variants of the GN (saver for the Sprint version), the one directly from Google will come with Wallet pre-installed and ready to use. All orders will be shipped within one to two days of the order being placed, and will be sent via UPS two-day.